Has this recent beautiful weather made you keen to get on your bike as much as possible? Would you rather be on your bike under the blue sky than stuck on a bus? 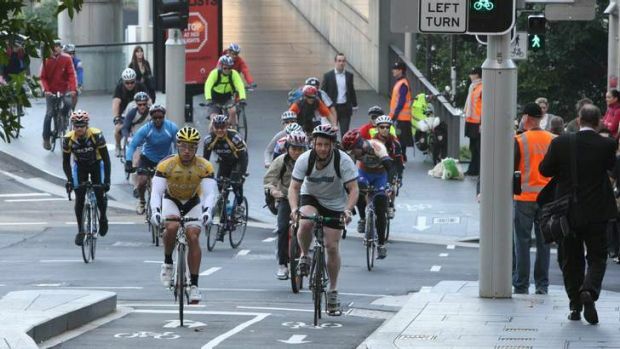 Here are a few handy tips to make your cycle to work as convenient and easy as possible! 2. Smile: Enjoy the cycle; it is a great time to enjoy the outdoors, remembering to smile to those that you pass. And when you ride home it provides a chance to relax and unwind after a busy day. 3. Take your time: Your cycle commute isn’t the time to set any Strava course records (on purpose). The roads are busy during peak hours with different types of road users and it is important to respect everyone on the road. As the weather gets better the bike lanes get busier. It’s not worth the few seconds of extra time to the next stop light to fly past someone, take your time and enjoy your bike! 4. Fuel up: Have a good breakfast before you set off and bring some snacks for your desk. A well-fed cyclist is a happy cyclist. 5. Dress for the commute: Tempting as it is to get up and get dressed in one outfit for the day, it’s usually best to pack your work clothes and wear something comfortable for the commute. Even better is taking advantage of cycle2city facilities and leaving your work clothes in your own locker and focusing on cycling in. That way you can come in whatever comfortable riding gear you fancy and make that ride to work all more enjoyable.